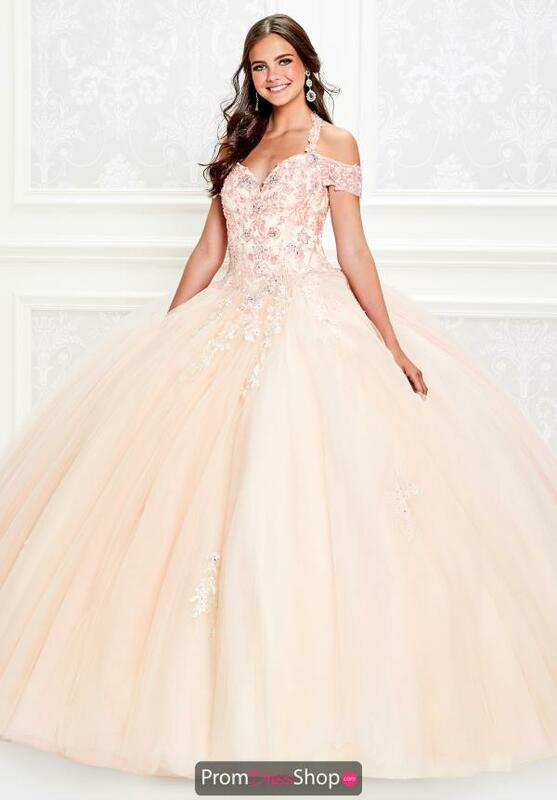 Twirl all night in this exquisite ball gown PR11925 by Princess an ideal choice that will fascinaet all in sight. Enchanting and charming, this remarkable gown showcases an off the shoulder neckline and full skirt. Lovely floral appliques adorn the bodice creating an intricate detailing and transitions gracefully onto the skirt.